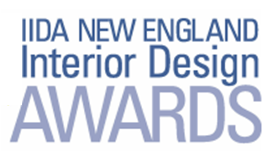 The 7th Annual IIDA New England Interior Design Awards will be held at the same great venue as last year, in Boston’s Theatre District, Space 57 at the Revere Hotel (space57.com). PLEASE NOTE: NO physical tickets will be sent. The IIDA NE chapter office will follow-up on your order with a form to complete for all attendee names associated with your order.